Walls are extremely important to any building or structure. If there is an issue with the wall the structural integrity of anything around the wall is also jeopardized. It is important to note walls can bend, bow, and crack over time for a variety of reasons. The longer it takes to engage in commercial concrete wall repair, the worse the situation will be. Take notice early to get started on wall stabilization and repairs. Wall stabilization is something that is needed when the integrity of a wall is compromised. There are quite a few ways to do this, but it depends on how damaged the wall is and the type of wall that needs repair. Most popular structural wall repairs are completed with anchors, fiber strips, injections and flexible wall braces. Sometimes these solutions are used conjunctively to increase stability. To understand wall stabilization, one must know what can cause certain problems to prevent them. One of the more prominent problems that happens to wall structures is the effect of bowing. Several things can contribute to bowing walls including plumbing and drainage issues, soil settling and foundational problems. Often, the damage can be far worse than it appears visually. If bowing is not addressed or repaired, a structure can face potentially irreversible damage including collapse. Should one notice bowing of a concrete structure, it is best to assume the worst and address the problem professionally as soon as possible. To get the most longevity and value out of your concrete walls, you will want to fully repair any foundation and wall damage as soon as it is spotted. VO-500 is a liquid powder mix that comes prepackaged. This powder liquid combination works best for overhead concrete as well as for patching and repairs. It sticks better, is stronger against water and has more resistance to temperature elements than the standard products. It can repair block, brick and masonry. 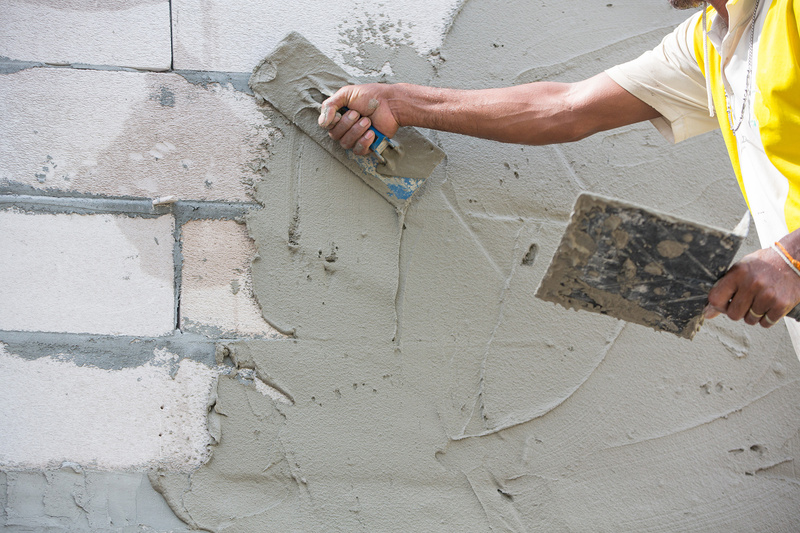 For more information on VO-500 or other concrete wall repair products, call us at (631) 298-6300.